← WATCH THE ANNIE AWARDS, LIVE! Don&apos;t miss the members&apos; events coming up or getting future issues of our informative newsletter. A SPECIAL AUGUST ISSUE WAS JUST SENT OUT. It includes A LAST MINUTE EVENT: A FREE PREVIEW OF Leap ON SAT., AUG. 19. 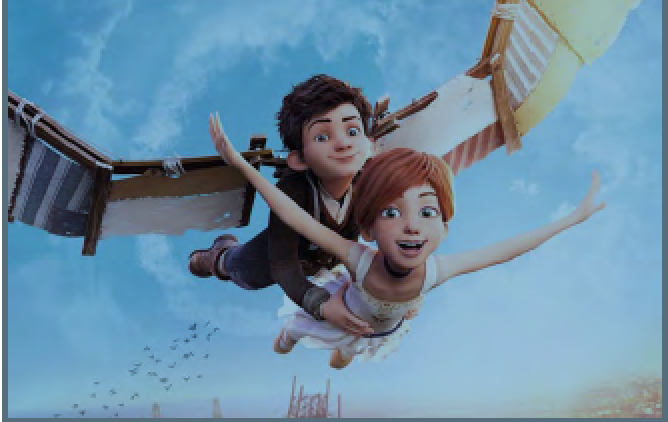 Leap is an award-winning animated feature from France that is their second highest grossing homegrown film of all time. a full review of the Zagreb Animation Festival by Nancy Phelps, and lots of news (local, national and international), plus a warning about several groups of thieves ripping off laptops in coffee shops – a former security guard at Disneyland "telling all", and much more. In September, our members are invited to a free screening of Ron Diamond&apos;s 18th Annual Animation Show of Shows and in October, he will be back with a preview of the 19th Annual Animation Show of Shows. We also have a special treat coming up in early October: New Films from the National Film Board of Canada with an animator or two present to talk about his or her work. Our DVD of highlights from our ASIFA-SF SPRING ANIMATION CELEBRATION will be shown at two or more local colleges so if you missed the event in June you will have another chance to see it. We have added three excellent British works that arrived too for the June event. The shorts are the best from a package of British graduate student films. It really is an impressive program and hopefully it will be shown in different parts of the Bay Area including at a campus near you. Looking into the future, our tentative plans include a Tribute to June Foray including some of her voice work for Jay Ward&apos;s Rocky and Bullwinkle Show. In Nov. – Dec., our members are invited to Award Screenings, a chance to see Hollywood animated features being considered for Annie and Oscars awards. Coming up in 2018 are other worthwhile events including Ron Diamond&apos;s program of the Oscar Nominated Animated Shorts and our Annual Careers in Animation panel discussion. One event I&apos;d like to see happen is an evening of Virtual Reality Animation if we have a member who can curate it. TO REJOIN OUR ASSOCIATION, VISIT the ASIFA-SF website. We really do need your support as we want to expand our activities including bringing in one or more traveling programs from festival that organize "best of" programs on DVD. There are really fine films being made around the world and there are very few chances to see most of them in the US.